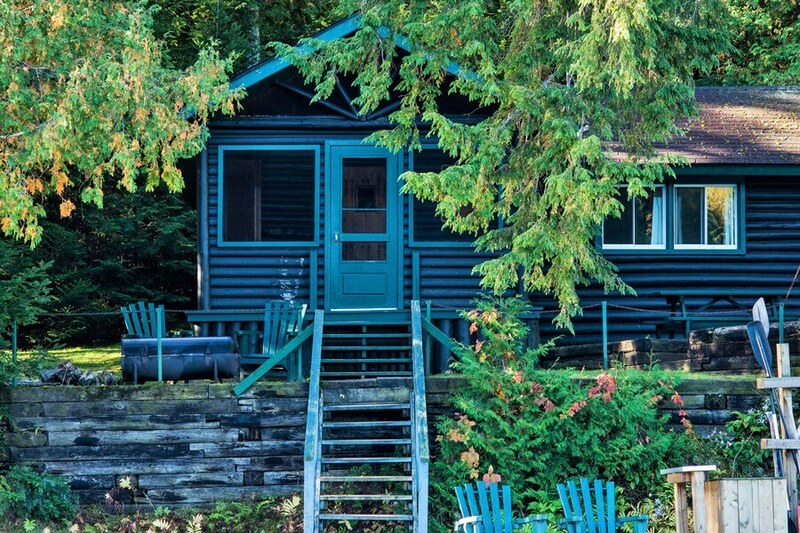 Perfect for couples, this classic 1930s log cabin hideaway overlooks a beautiful and small quiet lake. 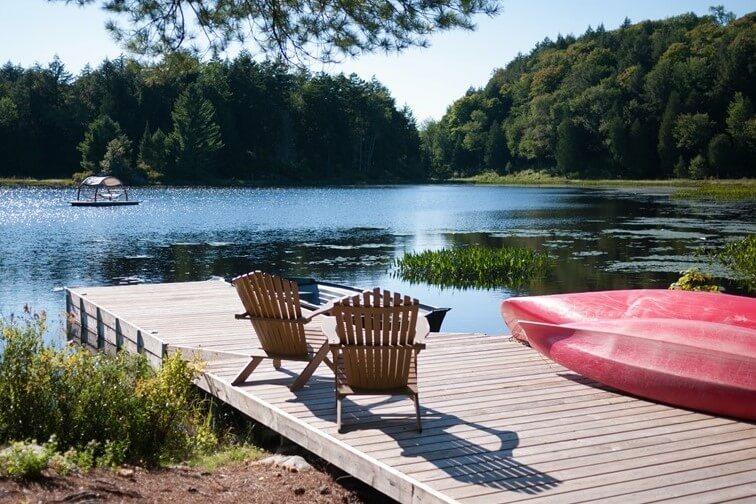 Located 8 miles (13 km) from the entrance gate, this chalet was recently moved from Taunton Lake to Tricorne Lake and was fully renovated. 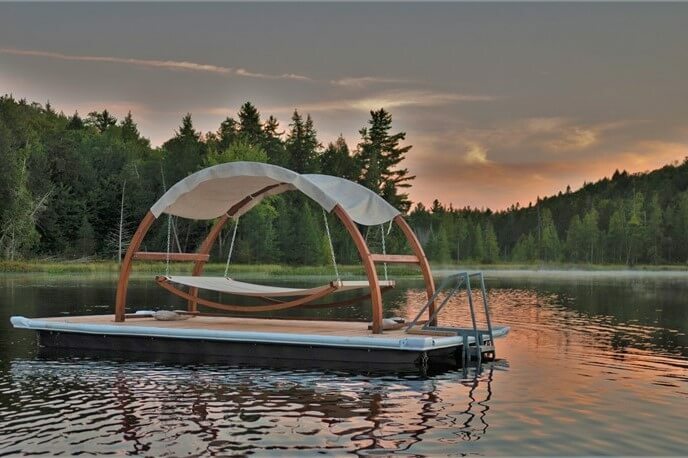 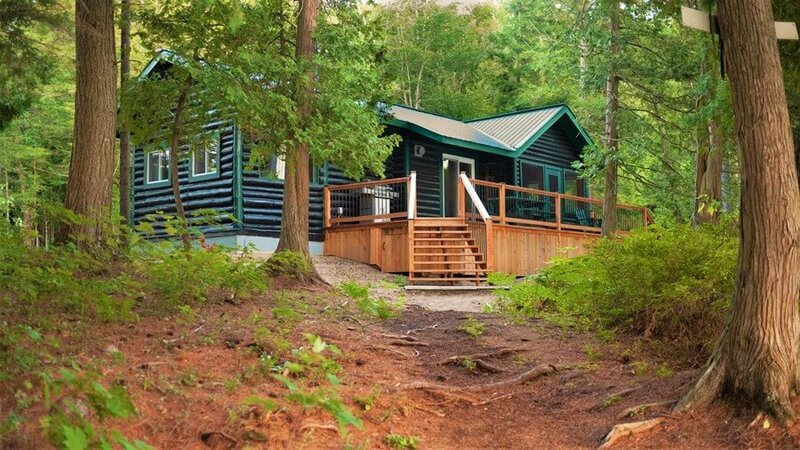 This comfortable retreat is a nature lovers paradise. 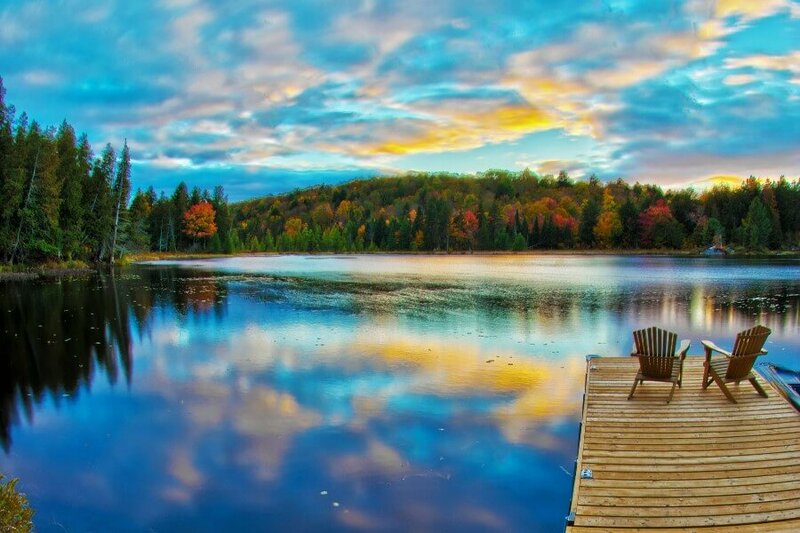 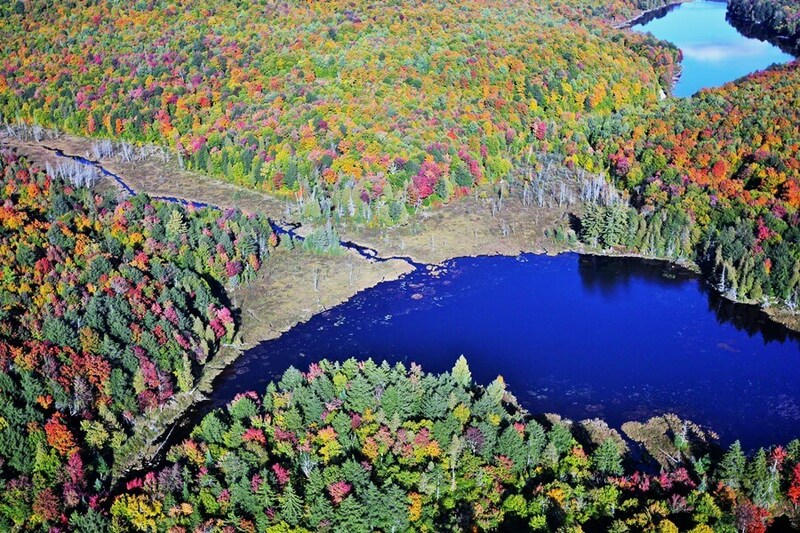 Without fishing, this charming pond is secluded and immersed in nature. 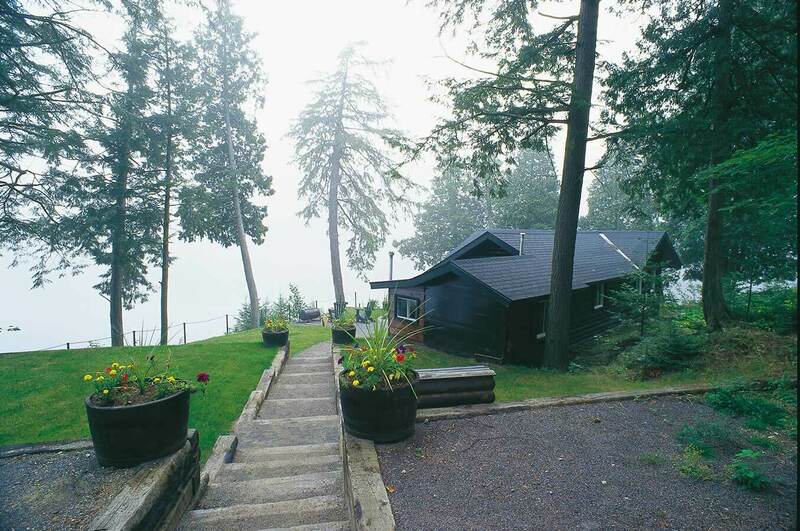 Huddled amongst the trees, Tricorne chalet is alive with wildlife activity. 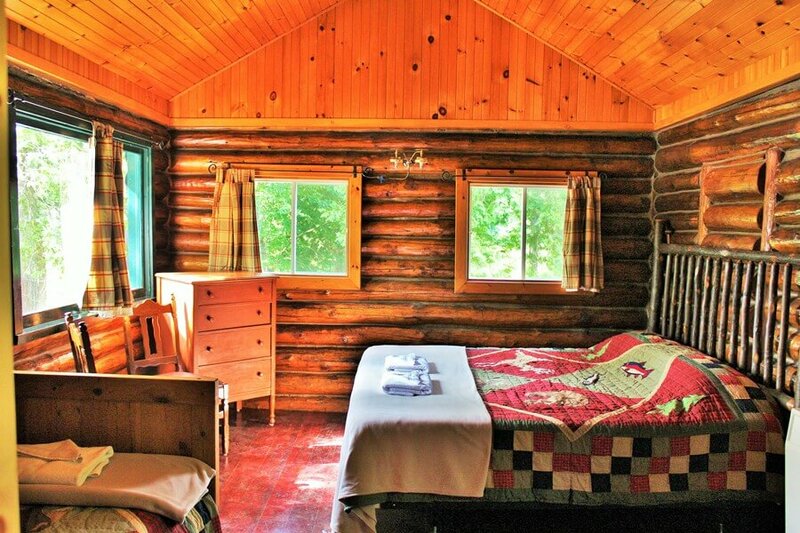 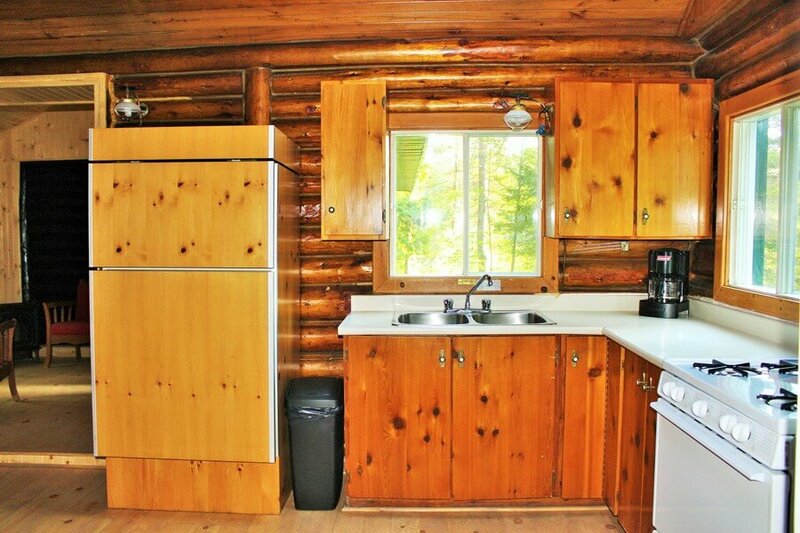 Sun-filled days and cozy nights are assured in this lovely one-bedroom log cabin. 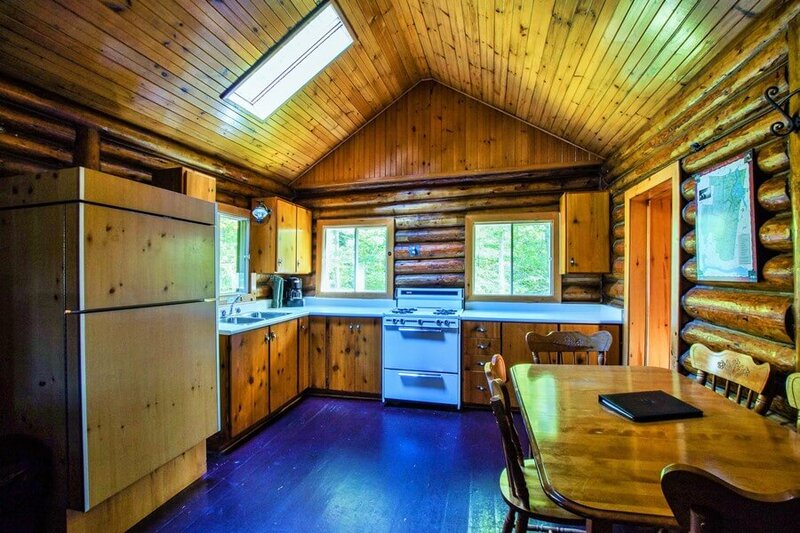 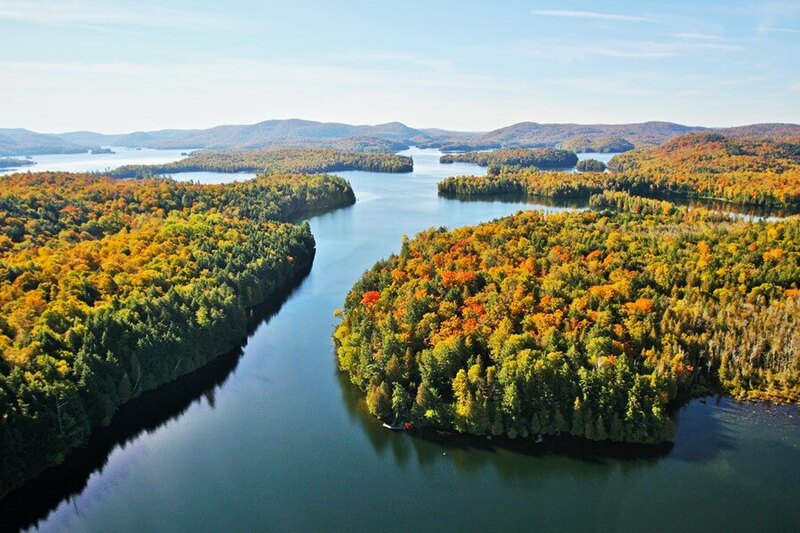 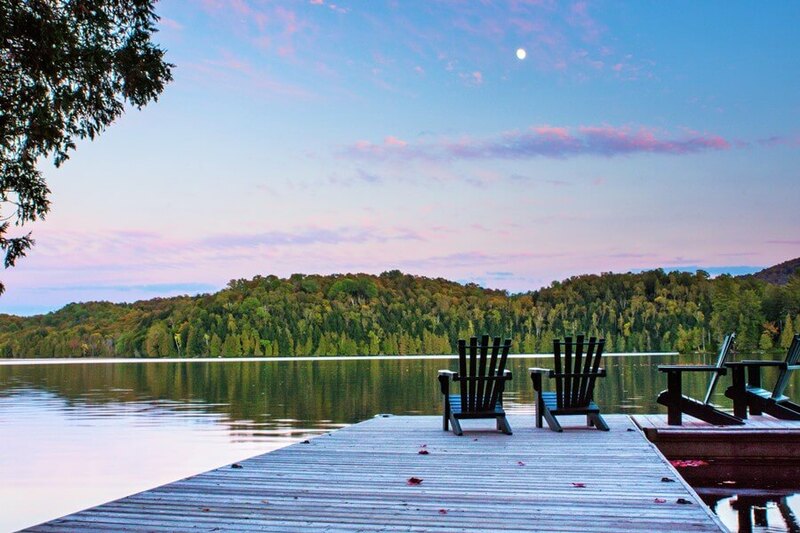 Originally built in 1931 using the same logs as Fairmont Le Chateau Montebello, this chalet is located on a quiet bay of Papineau Lake. 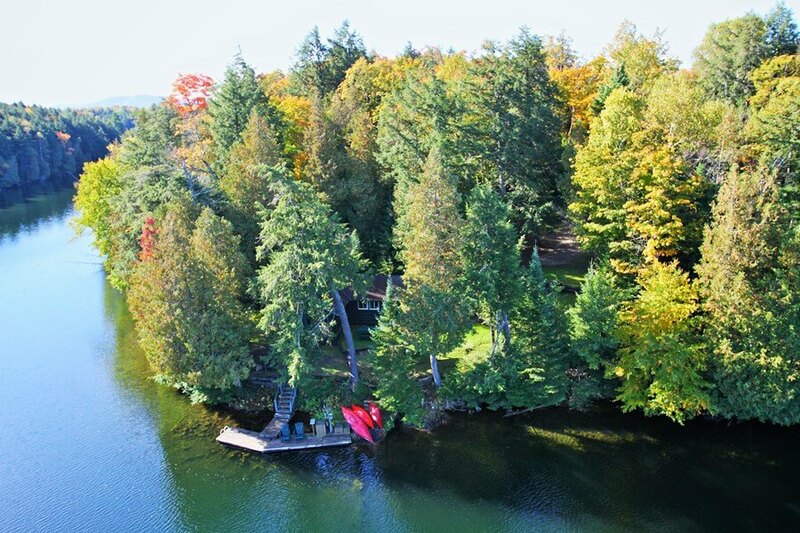 It was also recently renovated with more space and comforts including a luxurious claw foot bathtub with a view of the lake.